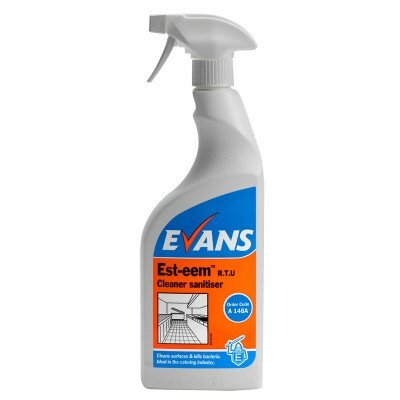 EST-EEM is an unperfumed liquid disinfectant and multi-purpose cleaner. EST-EEM is available as a concentrate product and in a ready-to-use (RTU) solution. EST-EEM has been tested using European Standard methods to meet specific classification / regulatory demands. 1x Pelican Pump 750ml waterin an Est-eem RTU 750ml spray bottle. Spray & wipe surfaces with a clean danp cloth and allow to air dry. Mop or wipe surface. Allow to air dry.